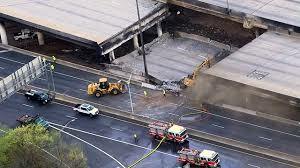 Crack not only killed Apple Jack (for you hip hop fans) it killed Atlanta traffic. We are all doing our best to cope with has to be the worst traffic I’ve ever seen during my 50 years in Atlanta. Wondering what your best work around has been for the traffic; other than the obvious of working from home? As your Atlanta real estate concierge one of my goals is to make your life easier. In that spirit, asking for your suggestions for traffic solutions, will share the responses next week to help you navigate traffic & reach your destination sooner. It’s been stormy out there…..Watch your roof for leaks!!! Two clients had roof leaks recently and I’ve noticed several blue tarps on roofs thanks to all the recent storms lately. That inspired me to remind all of you to be sure to check your roof for leaks. Mother Nature can be VERY powerful, as we are witnessing today here in the South. Wind, hail and falling debris can puncture roofs or lift shingles that may not be visible from the ground. The best way to check for possible leaks is to climb into your attic after a storm. Be sure to examine all the cracks and crevices, especially at points in the roof, valleys where roof lines meet and near the edges along the gutters. BTW, clogged gutters are one of the most common sources of roof leaks. If venturing into the attic isn’t your forte’ at least check for spots/leaks on the interior ceilings in every room, and don’t forget to check the closets. Conversely, if you see significant damage don’t hesitate to call your insurance company. That’s why you have hazard insurance. Here’s a perfect example; a few years ago, my house was pelted by hail for at least 20 or 30 minutes. The hail accumulation looked like a snow bank on my deck and driveway. The house had just been painted about 1 ½ years prior. The hail hit so hard it caused the paint to chip right down to the wood on window sills. The gutters were full of shingle gravel. Attending lots of home inspections and dating a contractor taught me a lot about construction. I knew these were not good signs so I made the call to my insurance company. Despite the roof being less than two years old and maxed out with moisture barrier in the valleys, flashing everywhere and drip edge, there was enough damage for the roof to be replaced. Had I not called my insurance company I would not have realized my roof had been compromised that badly and would be chasing roof leaks and ceiling stains all over the house.